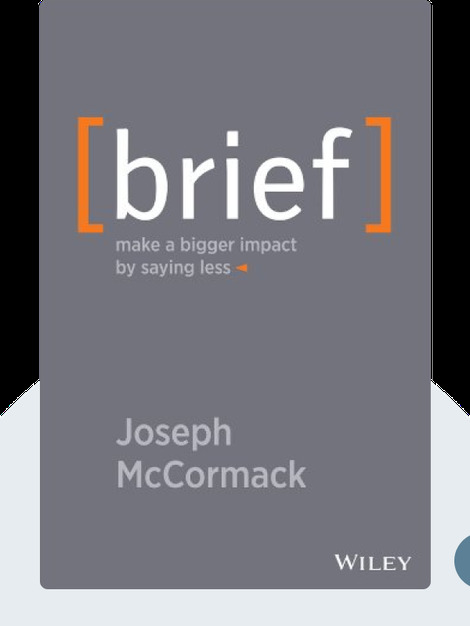 Brief (2014) is a guide to having more impact and influence by saying less. These blinks show the reader the power of brevity in the information age, explain the barriers to being brief and give helpful instructions on how to improve your communication while saving your own time and everybody else’s. Joseph McCormack is an expert on corporate storytelling and transmitting information through narrative. He has provided communications consultation to a wide range of professionals from military leaders to senior executives of companies like SAP, MasterCard and Harley-Davidson. 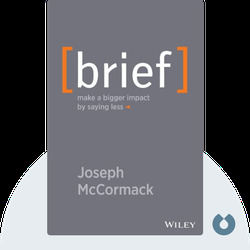 Joseph McCormack: Brief Copyright 2014, John Wiley & Sons Inc. Used by permission of John Wiley & Sons Inc. and shall not be made available to any unauthorized third parties.